HOLLYWOOD- Sir Edwin Fluffer once again delves into his personal memoirs – soon to be published as ‘Not THAT Kind of Fluffer!! 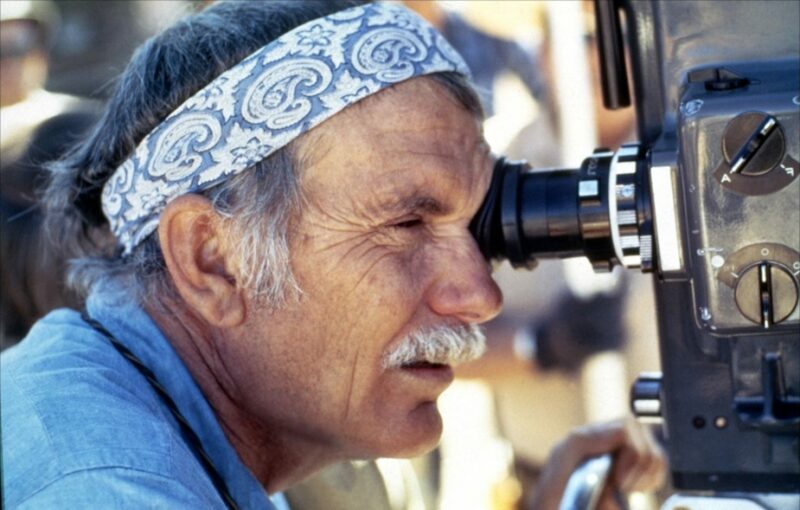 !’ – to recall the director they called the ‘whiskey fountain’: Sam Peckinpah. Slow motion violence. Blood ballet. Poorly prepared chicken salad sandwiches. Those are the first things that come into anybody’s mind when they hear the two words Sam Peckinpah. Of course when I first met dear Samuel, my Western days were far behind me. I’d appeared in Dastardly Denis and The Fop with the Winchester in the early 30s, but times had changed since then and violence was all the rage. Apparently, Sam was a fan and he called my agent and asked if I’d be prepared to work for scale on a little film he called ‘The Wild Bunch of Bananas’. I read the script and feeling within my rights sent him a note – something us veterans are occasionally allowed to do. It read simply ‘Cut the fruit’. Following the success of the film, I believe Samuel saw me as something of a lucky mascot and cast me in all his productions from then on. I’d heard that Sam was a terror to work for, but I found him absolutely darling. It is true that while filming Pat Garret and Billy the Kid with Kris Kristofferson and James Coburn he had thrown knives at young Bobby Dylan. But having heard him warbling in his trailer one morning accompanied by an inexpertly played guitar, my sympathies were entirely with Sam. Samuel’s most famous trademark was his ‘slow motion’. Many people believed this effect was created in the editing suite by simply slowing down the speed of the film. Not so, gentle reader. The effect was created ‘in camera’ – that is to say when we were shot we had to fall slowly to the ground. It was hell, but Sam promised every actor a chicken sandwich at the end of the day. Unfortunately, they were not very well made. Poor William Holden ate three and… well, that’s another story.